Angie was born and raised in Woodstock, Illinois. In 1999, she received an Associate's Degree in Dental Hygiene from Parkland College in Champaign-Urbana. She has worked with Dr. Spiro since January of 2002. 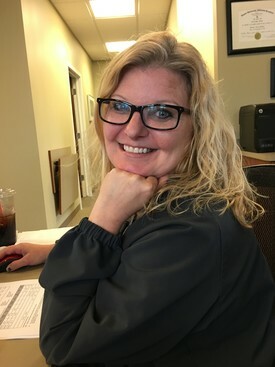 Angie loves spending time with her husband, their son and their 2 dogs! She enjoys seeing live music, hanging out with friends and family, yoga, hiking and hanging out in nature. Kim DeBoer is a graduate from the University of Iowa with a BS in Dental Hygiene. She has worked with Dr Spiro since March of 2014. 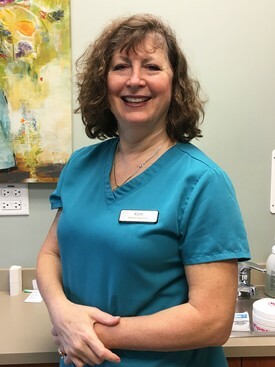 Currently, she is a member of the Illinois Dental Society, Illinois Dental Hygiene Association, American Dental Hygienist Association, and The Academy of Laser Dentistry. She is experienced in soft tissue management and treating patients with development disabilities. Tracy Timm graduated from Grant High School in Fox Lake, Illinois and attended College of Lake County and Harper College. 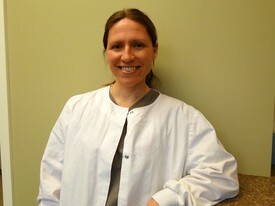 She has worked with Dr. Spiro since October of 2009. She also has experience working in an Oral Surgery Office. Tracy enjoys boating, playing volleyball, gardening and spending time with her 2 kids and her cat, Walter.